A recent Pew Research Center survey reveals that young people who list themselves as having no church affiliation (the “nones,” as they’re called) usually have a very simple and obvious reason for not coming to the Church or for deciding to leave it. And it’s not the poor quality of the music, or the supposed irrelevance of the preaching, or the unfriendliness of the congregation, or the ineffectiveness of the youth ministry, or other such concerns, discouraging as all those may be. We’re all familiar with seals of approval that certify standards of excellence in various fields. Whether it’s the Good Housekeeping seal for product quality, the J.D. Power certification of customer satisfaction, or any number of other such designations, we take these endorsements as evidence that a particular item has been evaluated and shown to meet some expectation of suitability and value. 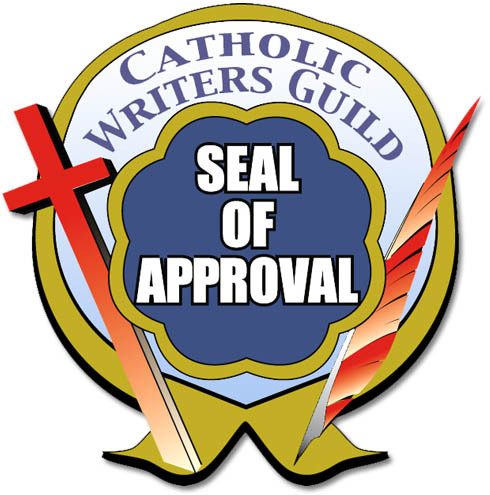 Well, I’m pleased to announce that my novel about the family of Jesus, MY BROTHER’S KEEPER, has been awarded the Seal of Approval from the Catholic Writers Guild. CatholicMom.com is an online journal focusing on “faith, family and fun” from the perspective of — as the name makes clear — Catholic moms. 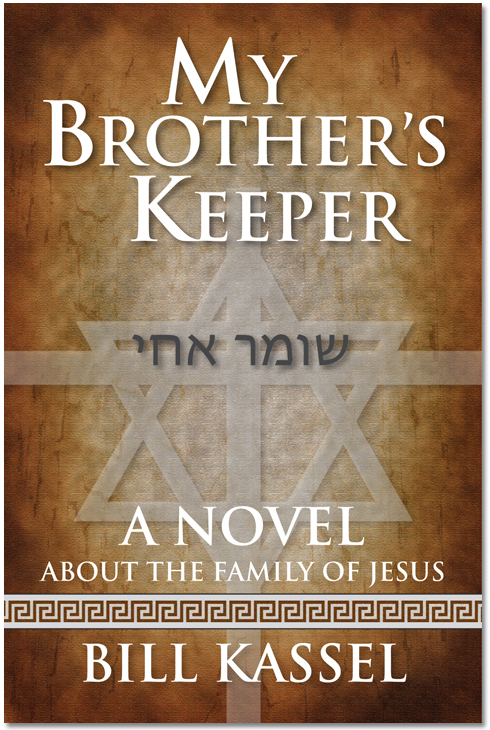 A review of my novel about the family of Jesus, MY BROTHER’S KEEPER is appearing currently on this engaging site. It’s by Susan Bailey, a multi-faceted writer and blogger who contributes regularly to The Catholic Free Press of Worcester, Massachusetts. Like they say, you should always listen to your mom. Thanks to Susan Bailey for her insights and endorsement. Both are much appreciated. Christmas is on the horizon, and you may be seeking the perfect gift for someone who likes to read. Or maybe you want a good book to curl up with yourself during those winter nights ahead. Here’s your chance to sample my novel about the family of Jesus, MY BROTHER’S KEEPER, for free. I’ve posted the Prologue and Chapter One, which you can read by clicking HERE. MY BROTHER’S KEEPER is available in both print and eBook editions from online book vendors, as well as through your local Catholic bookstore. Now Virginia Lieto and Kelly Thatcher, two Catholic writers / bloggers with their own wide followings, express the conviction that this is a book that compels you to keep reading. eBooks may be cutting-edge — and, Lord knows, those wondrous little electronic readers have distinct advantages. But there’s something timeless and reassuring about ink on paper. Whether you read on the beach or in the john, the printed word offers a sense of contact with an author’s writing, and the inspiration behind it, that just feels more tangible. 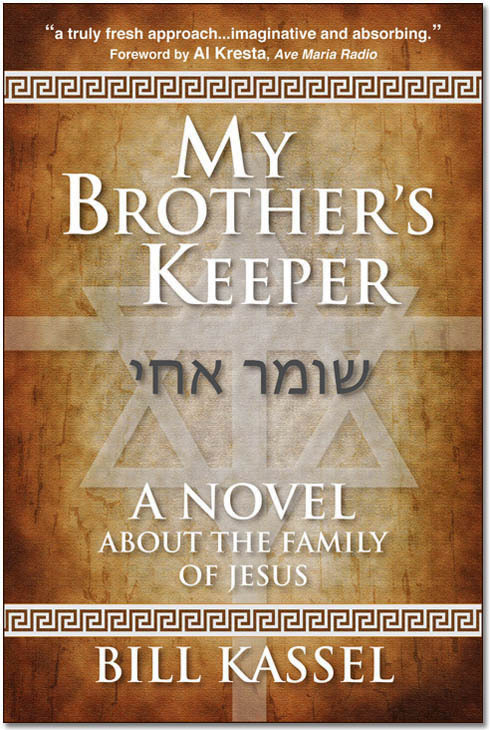 So, I’m pleased to announce that MY BROTHER’S KEEPER, my novel about the family of Jesus, is now available in its first commercial print edition. But in July, Saint Joseph Communications will present my novel to book dealers at the annual Catholic Marketing Network Trade Show. So if you prefer to support your local Catholic bookstore — and in today’s unsteady publishing market that’s a good idea — swing over to your hometown shop and put in an order. That’ll provide a “heads-up” about the book, and encourage your store operator to touch base with the Saint Joseph people at CMN. 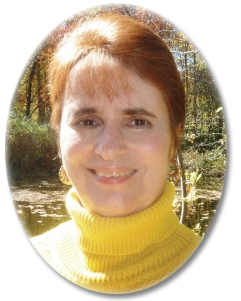 I’m also pleased to present a review of MY BROTHER’S KEEPER by Catholic author, Deanna Klingel, who has created a delightful line of historical novels designed to be read by the whole family (with subject matter and language that’s age-sensitive for children). “will be the best book you read this summer. I’m not a book reviewer, I don’t get paid for my comments, but I can’t stop talking about this book…. Today’s high-tech pirates will use anything in their nefarious schemes. I’ve discovered that some bad characters are using my novel about the family of Jesus. If you should stumble onto an alleged free book site designated “ePm.eBook,” that displays the cover of my novel, do not — repeat, DO NOT! — click on any of the links or buttons. You won’t get a free copy of MY BROTHER’S KEEPER. What you will get is malware that can foul up your computer or co-opt it for some unknown wicked purpose. I suppose, in a perverted sort of way, this is a testament to my book’s appeal. But I hate to think of playing even an innocent part in causing harm. I’m doing that. But “ePm.eBook” or some other version of this scam will likely just pop up under a different name, and my book could appear again. 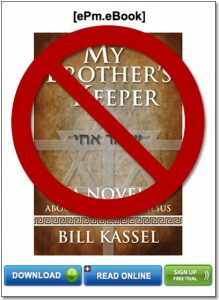 MY BROTHER’S KEEPER — my novel about the family of Jesus — is an engaging read that offers fresh perspective on how controversy surrounding Jesus’ ministry touched the lives of people closest to him. The book is available in all eReader formats. Most online vendors offer gift certificates for the eBook lovers on your Christmas list. And what a bargain! A nearly 600-page historical novel for only $5.99. This blog offers plenty of information about MY BROTHER’S KEEPER, including four audio tracks, posted at right, in which I read brief excerpts. And here’s an interview I did last July on Ave Maria Radio, in which I discussed the book with talk show host Al Kresta. Alex Szollo is a young blogger in Romania. A voracious reader of historical and religious fiction, his reviews appear on numerous international book sites. He had heard about my novel, MY BROTHER’S KEEPER, and requested a review copy. So I sent him one of the very few that remain of a special printed pre-edition which Ave Maria Radio used as a thank-you gift during its spring membership drive. 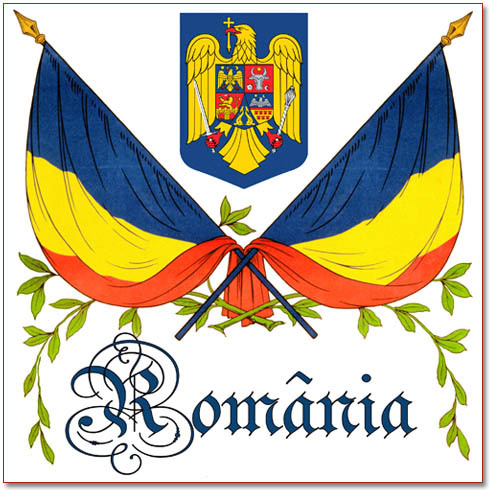 Mailing a book to Romania isn’t cheap. There’s no such thing as Media Rate. But the postage was well worth it. 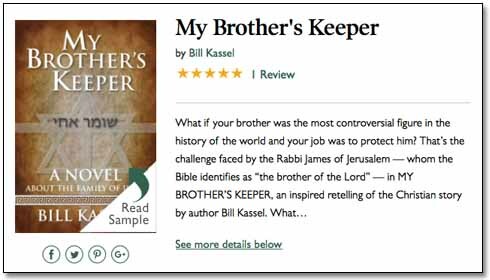 My Brother’s Keeper is an inspirational novel of a type that used to be broadly popular: a Bible-based narrative that expands on the Gospels to tell an engaging story about a character whose life is touched by Christ. Classics such as Ben Hur and The Robe are examples of this genre of religious storytelling that was once at the heart of the literary mainstream. I hope you’re enjoying these readings from my novel. And I hope they’ll entice you to read the entire book. I also hope that recent traffic they’ve encouraged can boost the prominence of my humble scribblings on the Net. A little nudge would be helpful. According to a tracking service called WebStatsDomain.org, this blog comes in at 13,480,399th out of some 30 million domains. Not exactly a world beater. In this age of niche marketing, I guess obscurity is my niche. But then, I don’t think of my readers as few in number, I think of you as elite. Anyway, here’s the most exciting of these four excerpts — or perhaps it would be better to call it intense. Well, it has conflict, in any event, and I’ve tried to convey that in my oral interpretation.